I really had no idea what this season would bring when I took my elite card last January. I had no real plans, I had never raced outside my home province of Ontario and I only had two half distance races under my belt. Needless to say, I was thrilled to crack the top 5 at all my races over my longest season yet. More importantly, countless changes over the past year have put me on a sustainable track towards achieving my potential. Here are three highlights, screw-ups, changes and surprises from my rookie pro season, plus some goals for 2015. 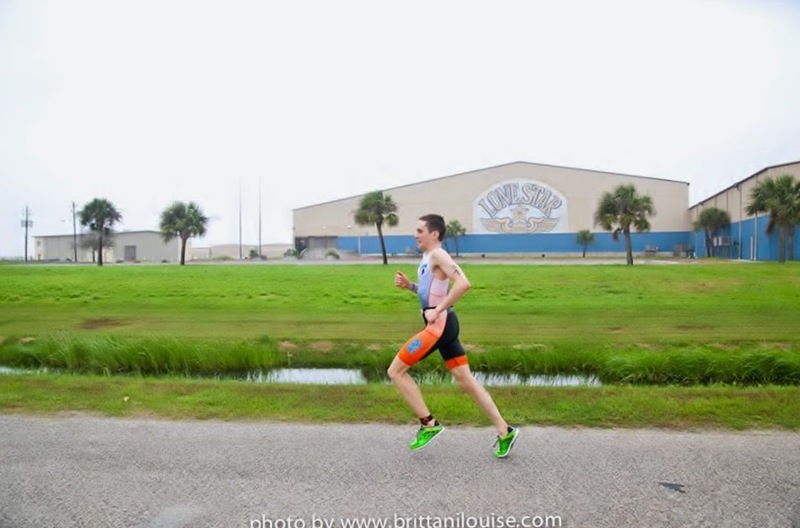 Pro debut – There were many question marks going into my first pro race at Texas 70.3 in April (Race Report). Lining up with a stacked international field, I questioned whether or not I even belonged in the pro ranks. I recovered from a rough swim with a 2:04 ride and a 1:15 run to claim 5th in 3:50. Given how ragged I was in the preceding months, that performance still has me scratching my head. Things didn’t fall apart until the month after the race. Digging the hole deeper at Texas 70.3. 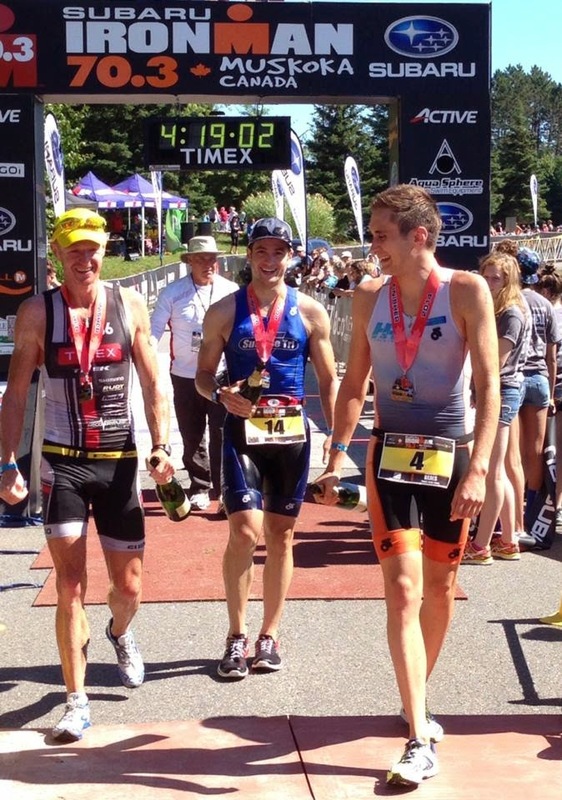 First Ironman 70.3 podium – A close-fought race at Muskoka 70.3 (Race Report) in September saw me finish 2nd to Richie Cunningham after leading off the bike. One year earlier, Muskoka was the race that sparked my interest in competing at the pro level. Chasing Richie at Muskoka 70.3 after crushing the ride. We were both suffering. 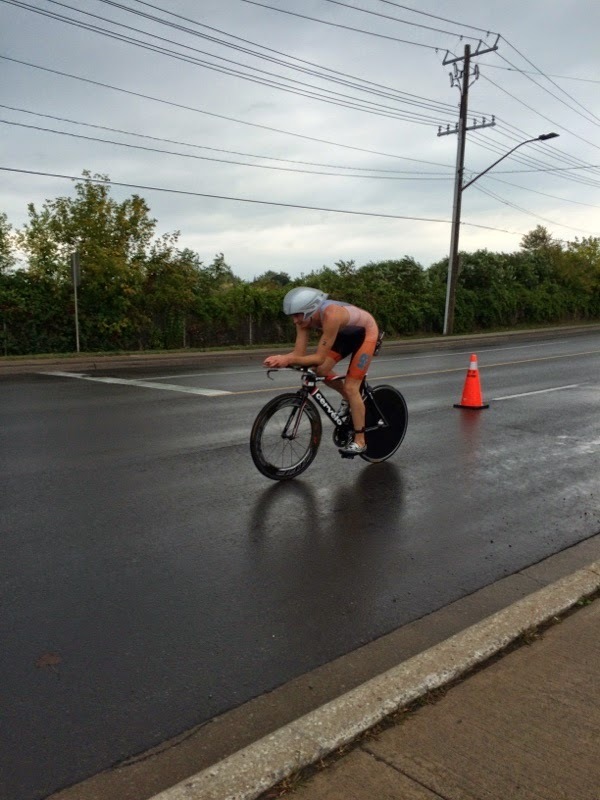 Winning my hometown race – It gave me warm fuzzies to finally win the MultiSport Canada Belwood Triathlon (Race Report), my local race and the site of my very first “Try-a-Tri” eight years ago. News travels fast in small towns, and soon everyone from my hair dresser to my bank teller made me feel like a minor celebrity. Paying for past sins – Until this year, my relationship with exercise had more to do with compulsion and self-medication than with training to become a better athlete. I made many mistakes, chief among them overtraining and undereating. As a result, I entered this season on a shaky foundation in terms of health. I buried my head in the sand until a major slump after Texas 70.3 finally prompted me to see a sports doctor, get a diagnosis and develop a recovery plan. How I felt for a month after Texas 70.3. 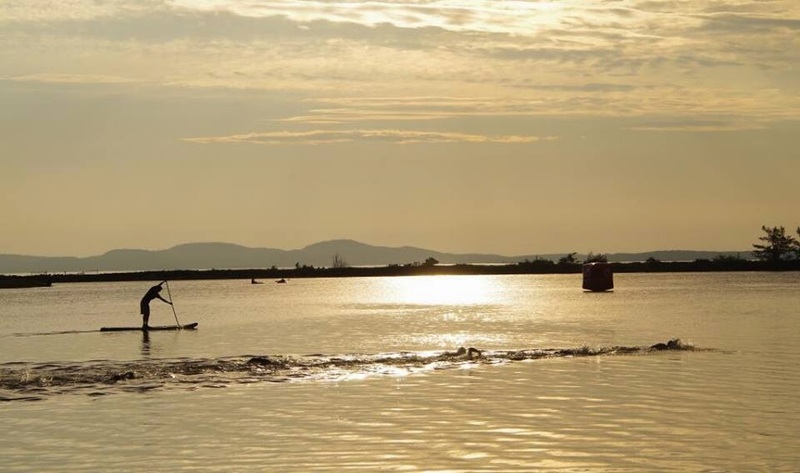 Mechanical in St. Andrews – A rubbing brake at Challenge St. Andrews in July (entirely my fault) robbed me of what could have been a season-best performance and a chance to race head-to-head with Tim O’Donnell (Race Report). But my best pro result (2nd), my biggest payday and an incredible race experience helped me forget my frustration. The spectacular swim in Katy’s Cove at Challenge St. Andrews. That stand up paddleboarder is Simon Whitfield! My first DNFs – I had my first DNF in over one hundred race starts at the Olympic Distance Provincial Championships in Bracebridge. 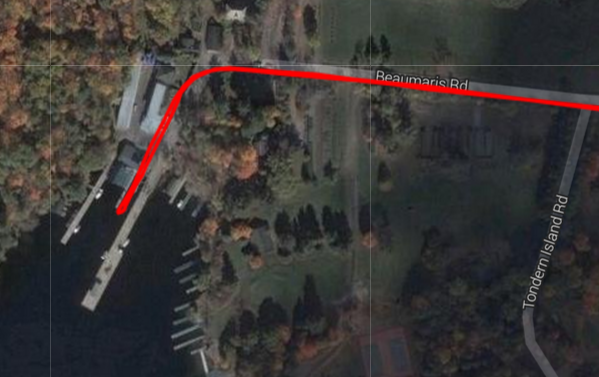 I took a wrong turn onto a dead-end cottage road and nearly rode off a dock into the lake! The next month brought my second DNF, when double flats ended my day at Niagara Falls Barrelman after leading out of the water and two thirds of the ride. Leading at Niagara Falls Barrelman before double flatting at 77 km. Lone wolf no longer – It took me a long time to realize that my success and longevity in triathlon depend on the support and expertise of others. After self-coaching my way to yet another meltdown last spring, I was finally prepared to hand over the reins to two exceptional coaches. I began to work with my swim coach Tim Floyd (Magnolia Masters) in January and my general coach David Tilbury-Davis in May. Recovery – I used to take a sporadic and reactive approach to recovery—usually too little, too late. This spring, I began taking one day completely off training every week. In addition, I’m currently taking my second 9-10 day period of downtime this season. Having only taken a few days off per year in the past, I was initially skeptical, but I’ve learned to accept, if not enjoy, more rest. Getting off the roller coaster – In the past, my mood, confidence and even my self-worth hung on my performance in recent workouts or races. I lacked a big picture perspective and, as a result, every up and down felt significant. To paraphrase Coach Tim, I’m inevitably going to fail and f—k up and that’s ok. At 24 years old, I was the youngest athlete in the top 5 at all my half distance races. My peak in long course triathlon could very well be a decade away. I have time. Training less and getting faster – Making recovery a priority meant that my training volume was a little lower than 2013 while my training load was similar. I still managed to improve, not by training more but by training more effectively. My coaches helped me find more “bang for my buck” by polarizing training intensity, periodizing my season into blocks with specific objectives and avoiding non-functional overreaching. I like to ride my bicycle – When I set out to improve my cycling, my weakest discipline last season, I never expected that it would become my strength in a single year. More effective, power-based training and year-round work on the CompuTrainer boosted my threshold by around 40 watts in twelve months. Ending up in the black – The earnings prospects for a rookie pro triathlete fall somewhere in between “unskilled illegal immigrant” and “preteen babysitter”. Even established pro triathletes can struggle to make ends meet. I was pleasantly surprised to earn enough from triathlon to cover all my triathlon-related expenses, with enough left over to cover my very modest cost of living for a couple months. I still depend on my part-time work as an environmental science consultant. Related: My Rookie Pro Triathlon Budget – I’m learning that skills like season planning, self-marketing and pathological cheapness frugality are just as important as swimming, biking and running when it comes to hacking it as a triathlon pro. Win an Ironman 70.3 or Challenge Half race. Toe the line at 7-8 half distance races, healthy, fit and ready to contend. Make $15-20,000 revenue from triathlon. Ride at over 320 watts (~4.5 W/kg) for half distance races. Consistently run sub-1:15 off the bike. Coach Tim and I are making great progress with my swimming. My most ambitious goal is to explore my limits by collapsing across the finish line or blowing up trying. A few narrow defeats this season left me questioning if I had been outclassed in my desire to win and will to suffer, more than my fitness. I certainly race hard, but the fact that I’ve never blown up in a race suggests that I’m a little too conservative. The ability to truly “go to the well” is imperative to compete at the highest level. I can’t be afraid to go for it, even if things fall apart and I hurt myself. Magnolia Masters – front pro swim pack, here we come! CompuTrainer for helping me find 40 more watts in one year! all of you following my progress!